The MSPWorld Conference is quickly approaching. Will we see you there? 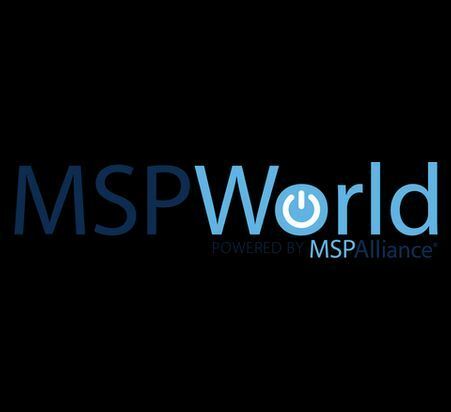 In case you haven’t heard, the MSPAlliance Event, MSPWorld Conference, is a major conference for Managed Service Providers (MSPs). This year’s conference will take place from April 3, 2016 through April 5, 2016 in Orlando, Florida. This conference is the perfect place for networking, quality educational sessions, and gives you access to some of the leading MSP and cloud enabling technology companies. PC Matic MSP is just one of the multiple vendors that will be present at MSPWorld. Dodi Glenn, PC Matic MSP’s Vice President of Cybersecurity, will be presenting at the conference on April 5th regarding the history of ransomware. Be sure to check out the conference’s full agenda, as well as find out the top ten reasons why YOU should visit PC Matic MSP at the MSPWorld Conference. If you haven’t registered yet, click here to do so and save 50% on your registration fees! PC Matic Blog, PC Matic MSP, Press MSPWorld. permalink.